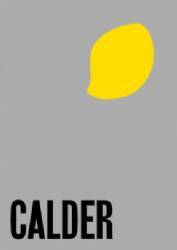 Over 90 works by Calder including paintings, mobiles, stabiles, jewelry, domestic objects, furniture, and outdoor sculptures, focusing on his Roxbury studio. Includes photos and pieces from the new exhibition at Hauser & Wirth Somerset, as well as commentary on his work. 120 pp.